ROME (CNS) — Lent is meant to wake up Christians and help them see that God can give them the strength to change their lives and their surroundings, Pope Francis said. The Mass began after a penitential procession from the nearby monastery of St. Anselm. To a chanted litany of saints, the pope walked behind Benedictines from St. Anselm, Dominicans from Santa Sabina and cardinals who work in the Vatican. The pope received ashes from Slovakian Cardinal Jozef Tomko, the cardinal-priest of Santa Sabina. During Lent, he said, Christians are called to use the three elements the Gospel recommends for spiritual growth: prayer, fasting and almsgiving. “In the face of so many wounds that hurt us and could lead to a hardness of heart, we are called to dive into the sea of prayer, which is the sea of the boundless love of God, in order to experience his tenderness,” the pope said. With more regular and intense prayer during Lent, he said, Christians are called to think of the needs of others, “interceding before God for the many situations of poverty and suffering” in the world. As for fasting, Pope Francis said the point isn’t just to follow the rules for Lenten fasting and abstinence, because that could lead to self-satisfaction. “Fasting makes sense if it really chips away at our security and, as a consequence, benefits someone else, if it helps us cultivate the style of the good Samaritan, who bent down to his brother in need and took care of him,” he said. Almsgiving is a practice that should be common among all Christians, but especially during Lent, he said. Christians give concrete help and attention to those in need — asking nothing in return — because they recognize how much God has given them even though they were not deserving. Almsgiving also helps free people from “the obsession of possession, from the fear of losing what they have and from the sadness of not sharing their well-being with others,” the pope said. 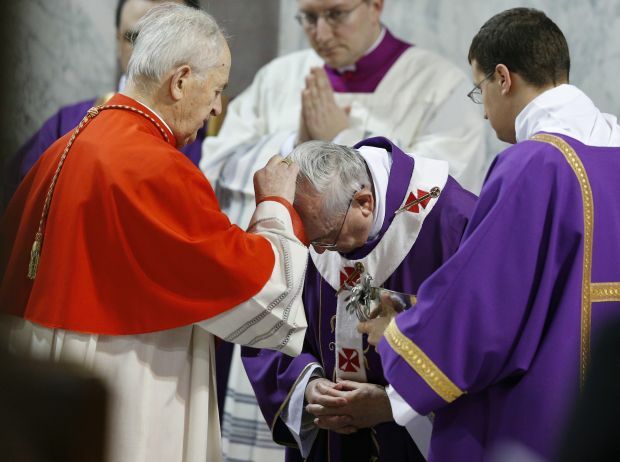 “Lent comes providentially to reawaken us, to shake us from our lethargy,” the pope said.